NYT bestselling author, M. J. 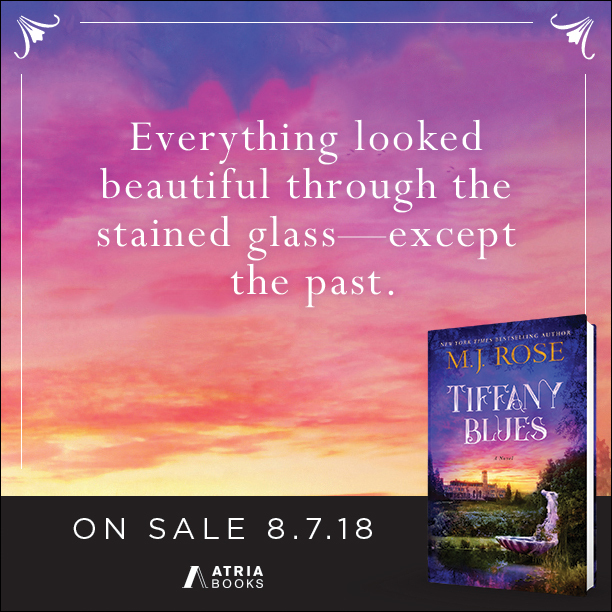 Rose crafts a dazzling Jazz Age jewel--a novel of ambition, betrayal, and passion with TIFFANY BLUES. TIFFANY BLUES is now available! 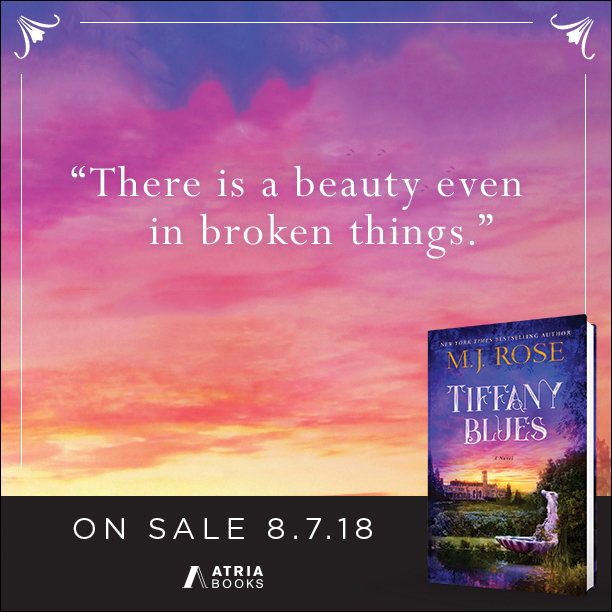 Check out the excerpt below, and pick up your copy of TIFFANY BLUES today! Once the present turns to past, all we have left are memories. Yes, sometimes we can stand where we stood, see our ghost selves, and relive moments of our life. See the shadow of the man we loved. Of the friend we cherished. Of the mentor who made all the difference. Our memories turn specific. The terrier that played by the shoreline, joyously running in the sand. We can remember the smell of the roses. Look at the azure water and see the glimmer of the sun on the opposite shore and hear a fleeting few bars of jazz still lingering in the air. If you were the only girl in the world… Staring into the remains of what is left, I see ghosts of the gardens and woods, the gazebo, terraces, rooms ablaze with stained glass—everywhere we walked and talked and kissed and cried. With my eyes closed, I see it all in my mind, but when I open them, all of it is gone, up in flames. Mr. Tiffany once told me that there is beauty even in broken things. Looking back, there is no question I would not be the artist I am if not for that lesson. But would he be able to salvage any beauty out of this destruction? No, I never dreamed I’d come back to Laurelton Hall. The Xanadu where I came of age as both a woman and a painter. Where I found my heart’s desire and my palette’s power. Where depravity bloomed alongside beds and fields of flowers, where creativity and evil flowed with the water in the many fountains. Where the sun shone on the tranquil sea and the pool’s treacherous rock crystals reflected rainbows onto the stone patio. Where the glorious light streaming from Mr. Tiffany’s majestic stained glass illuminated the very deep darkness that had permeated my soul and lifted me out of despair. And where I found the love that sustained me and remained in my heart even after Oliver and I parted. Standing here, smelling the acrid stench, looking at the felled trees with their charcoal bark, the carbon-coated stones and bent metal frames that once held the master’s windows, at the smoky, melting mess that was one of the greatest mansions on Long Island’s Gold Coast, I know I never will see it again, not how it was that magical and awful summer of 1924. The fire is still hot in spots, and a tree branch snaps. My reverie is broken. Leaves rustle. Rubble falls. Glass crushes. Twigs crack. Then comes a whisper. Jenny. But it can’t be. The wind howling through a hollow tree trunk is playing a trick. Fooling me into thinking I am hearing his sapphire voice, its deep velvet tone. As I listen to the repeated whisper—Jenny—I raise my hand to wipe at my tears and tell myself that it is the smoldering ash making my eyes water. The charms on my bracelet jingle as I lower my arm. And again the whisper… and again my name—Jenny. "[M.J. Rose] transports the reader into the past better than a time machine could accomplish" (The Associated Press). About M. J. Rose New York Times Bestseller, M.J. Rose grew up in New York City mostly in the labyrinthine galleries of the Metropolitan Museum, the dark tunnels and lush gardens of Central Park and reading her mother's favorite books before she was allowed. She believes mystery and magic are all around us but we are too often too busy to notice... books that exaggerate mystery and magic draw attention to it and remind us to look for it and revel in it. 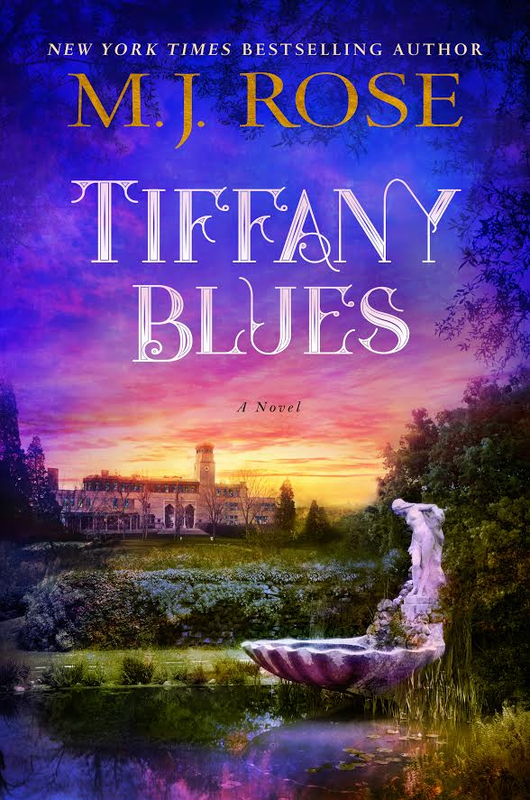 Her most recent novel TIFFANY BLUES (Atria/S&S) was chosen as an Indie Next Pick and takes place during the Jazz age at Louis Comfort Tiffany's Long Island mansion/ art colony. 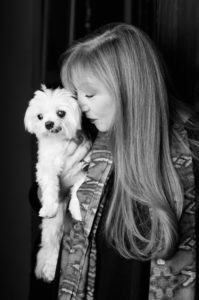 Rose's work has appeared in many magazines including Oprah Magazine and she has been featured in the New York Times, Newsweek, WSJ, Time, USA Today and on the Today Show, and NPR radio. Rose graduated from Syracuse University, spent the '80s in advertising, has a commercial in the Museum of Modern Art in NYC and since 2005 has run the first marketing company for authors - Authorbuzz.com The television series PAST LIFE, was based on Rose's novels in the Reincarnationist series. She is one of the founding board members of International Thriller Writers.